What was it like working for SCRAP between 2011 and 2012? 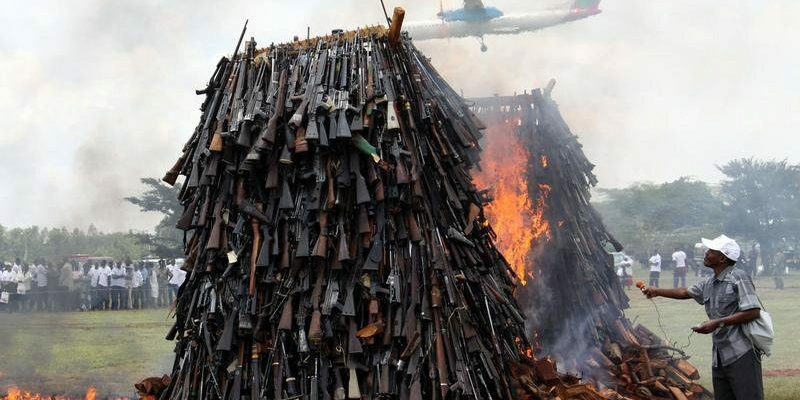 At the time would you have envisaged the developments that have happened since then with the Arms Trade Treaty (ATT) and the Ban Treaty? The reality was back then you could already sense that the Arms Trade Treaty was brewing. I’d say more so than the Global Ban on Nuclear Weapons. On the nuclear weapons front, you had traditionally seen the regional bans, like in Latin America. CISD was doing a lot of work, and continues to do a lot of work around a Middle East free of Weapons of Mass Destruction, but you had never—apart from the work of the NPT itself—you had never really seen that happening. In fact, I did attend the 2012 review conference of the NPT in Vienna, when I was working for SCRAP and reported from there, and the usual debate was still between the ‘haves’ and the ‘have-nots’, and disarmament versus non-proliferation. I’ll be honest, I didn’t think we’d see a global ban [on nuclear weapons] approved so quickly. Of course, it’s not fully approved. It’s been passed, but only a number of countries have ratified it; we’re not likely to see any nuclear ‘haves’ ratify it. But, even this is a major step. What changes have you seen since then? Have the discussions changed? Are the different movements talking more to each other? Much more. When I started they weren’t talking much to each other, but you could already see the bridge between the two communities was plainly the humanitarian element. So in the same way that you could argue nuclear weapons, or weapons of mass destruction generally, could actually lead to a destruction of humanity, small weapons are also inhumane in many respects: ranging from landmines, but also quite frankly an AK-47 in the hands of a child soldier in any war-torn country. So there was that common element to pull from. You could already see delegations speaking of this commonality across the two, but if you look at the actual UN—the UN Secretary General’s disarmament agenda, Our Common Future—you can see that the underlying common element across the board, whether it is for conventional or whether it is for weapons of mass destruction, is this human element. It is approaching it from a ‘humanitarianist’ perspective. This is where I think things have really changed. It’s no longer two communities touching tangentially on it, and sort of overlapping just slightly. I can clearly see a convergence which the UN Agenda in my view clearly stipulates. There has been a lot of stalling at the Conference on Disarmament, and not many decisions are taken. Are governments the best way to approach this? Is there another way to consider these issues? It’s not just governments, but also the forum itself and the rules of engagement and the rules of decision-making. If you look at the Conference on Disarmament at the UN, I think if my memory is right, all decisions need to be adopted by unanimity and adopted by consensus. That’s why you’ve seen it stalled for so long. You know, something debated and approved, and voted and approved, at the General Assembly-level is by a rule of the majority. Of course, the majority are the ‘have-nots’. So [the General Assembly] is where we will likely see way more progress, at least when it comes to establishing international norms, not necessarily establishing or translating those norms into actual adoption by the entire international community. 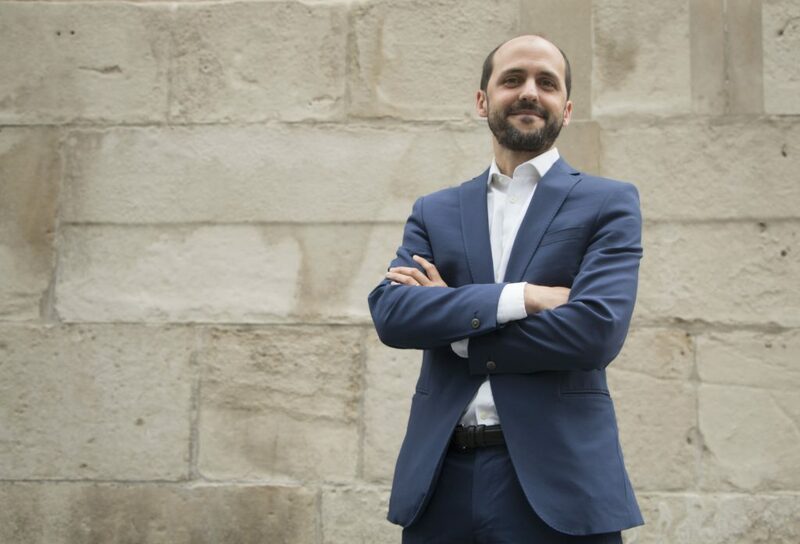 I think the role of civil society and popular forces remains very important today and will be even more important in the future: academia, think tanks, civil society at large, whether it is at an expert-level or simply at a non-expert-level. This is the challenge that I think academia and some of these movements have: to capture the imagination of the layman who is not an expert in all these things and is usually guided more by fears of insecurity. The argument goes: “How are you going to have states, without arms?” That’s usually the reaction that most people have when you present to them a project like SCRAP or the idea of general and complete disarmament. I think we’ve got a task to try to bridge that and try to simplify our jargon in a way that captures the imagination of others. I suppose that means translating the fear or insecurity, or at least making them see that there’s other ways to achieve security, as well, not just through boosting up your defence, etc. Do you have advice for current SCRAPers, current students, people reading the blog? What should we be focusing on? I’d start with the simplification of the language. I apply that to myself, as well. I remember with this blog that I last wrote, you know, I was trying not to be overly technical, and in fact, you mentioned to me: “Are you sure you want to use that word instead of one that is more commonly known?” So that would be one piece of advice: try to step away a little bit—even though the base is obviously academic and the research is academic, and is very in-depth—try to take it a level up and speak to the commoners, so to speak. I’d say coalitions are very important. I’m not sure how much of that is being done on this today. That doesn’t just apply to the disarmament movement. You look at the human rights space or the environmental space and you’ve got very large NGOs—or large and small—each fighting their turf, to appear on the front page of newspapers. You just fragment the resources and you just fragment the message. I think it’s very important to build platforms with like-minded organisations. To actually try and find not what makes them different, but what makes them similar, then try to capitalise on that commonality. 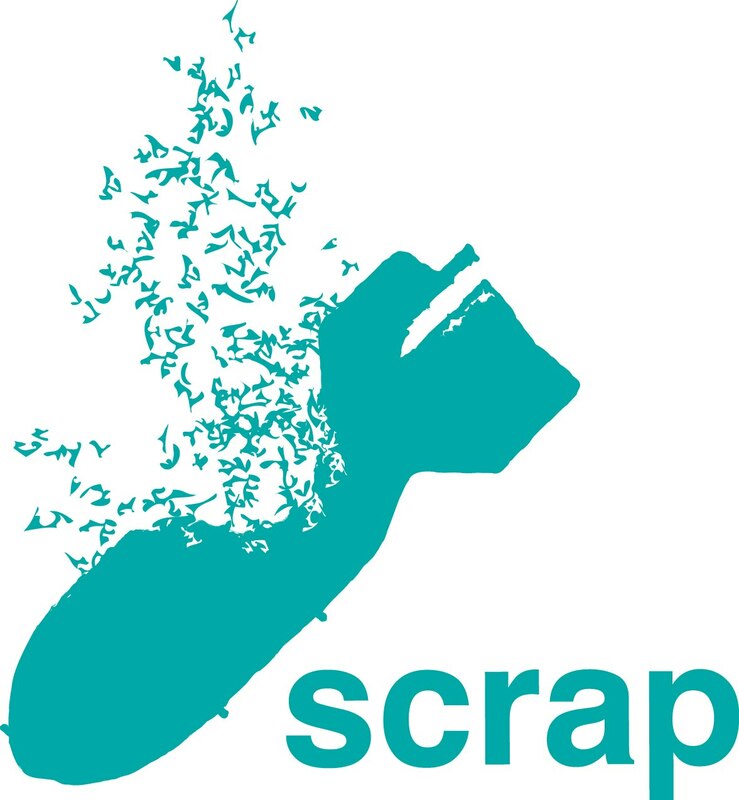 Back in 2012, we launched the first-ever webinar, SCRAP webinar, on the Global Day for Action on Military Spending, and we invited as guest speakers SIPRI, the International Peace Bureau, we also invited Reaching Critical Will. I’m not sure how much of that is being done, but my recommendation would be to try and do more of these. They reinforce each other; they feed each other. Then, when it comes to attending the review conference of the NPT, if you’ve already built a coalition, you can actually, rather than having a fragmented voice when speaking to different delegations, you can bring that one common voice to a delegation. I think that has way more impact that just going solo. Then, of course, there is the belief in the cause. It is very easy to get very rapidly frustrated with anything; it doesn’t need to only apply to disarmament. Whether it is environmentalism, whether it is human rights, whether it is disarmament or arms control, these things don’t move very fast. They are a slow burn. The context and the conditions under which these movements operate is different nations coming together and agreeing on something, which is usually after a traumatic experience or near-traumatic experiences, like in the ‘80s, early ‘90s and, of course, after the Second World War. So they are a slow burn: be patient and believe in your cause. You don’t need the big name behind you. You don’t all need to be working with large movements in order to actually feel that you are making a difference. Just by taking part in something like this, just by writing a blog, just by promoting that message, you are already—in some ways—making a difference and moving the needle. Where do we go from here? What do you see for the future? I’m very cautiously optimistic. I do think we’re facing very challenging times. I know it’s become a bit of a buzzword to say the world is sliding back to a zero-sum game; the international order is in disarray; Trump is just undoing it. There’s a reason why Trump is there. There’s a reason why we’ve got a Brexit. There’s a reason why you’ve got ethno-nationalistic movements springing up all over the place in Europe. We need to think carefully as to what are those reasons that have led these types of policy agendas to the front page. Why are we facing what we are facing? Then it’s only by answering that ‘why’, that I think we will be able to devise a clear strategy for how we can capture this narrative that is bent on making structural changes to our international order towards ones that are conducive to more equality both domestically and on the international arena. So that’s why I say cautiously. Now the optimistic bit is that obviously: we didn’t have an Arms Trade Treaty; we didn’t have a global ban on nuclear weapons; we didn’t have a UN-sanctioned agenda. Now we do. So I think we need to capitalize on the momentum, we need to capitalise on these [successes]. The movement needs to try to turn these into actual tangible policies because the UNSC agenda is just an agenda. It’s a framework. It doesn’t actually propose any clear policy changes. That’s down to the governments to do so, whether bilaterally or multilaterally. But I think that’s where the civil society needs to in a way lift and guide the governments towards achieving that path. And perhaps use that energy to reinvigorate the stalled process at the Conference on Disarmament and at all the forums that haven’t seen any progress for a long time. I don’t know how directly linked all of this is… but the one discussion that seems to continue to simmer is the state of the Non-Proliferation Treaty (NPT): this eternal tension between the ‘haves’ and the ‘have-nots’ and between disarmament and non-proliferation. I think one feeds the other, to be honest. The ‘haves’ are not disarming, therefore the ‘have-nots’, some of them, choose to proliferate. Meanwhile, the ‘haves’, are using the arguments that ‘some are choosing to proliferate’ as a reason to not give up their arms. I’m not quite sure what the answer is, to that to be honest. This is more of an open question. I think the world powers need to move past that debate, one way or another. I think we need to move past the constant fear-mongering, narrative around the NPT and how it’s about to, every time there’s a review conference that doesn’t achieve or doesn’t move past that friction, there is this constant fear-mongering narrative that the NPT is about to collapse. That’s quite a dangerous narrative because I think it can turn into a self-fulfilling prophecy. We need to be quite careful about that because the NPT is the cornerstone of the current international order, and despite a number of governments not being party to the NPT, it’s still a core foundation. That’s what I would add.